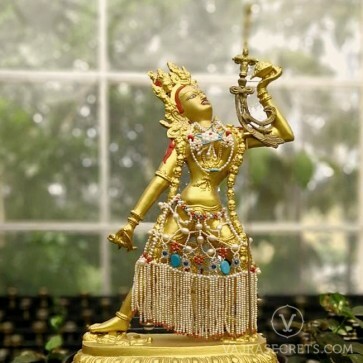 Collect oceans of merits and create a strong connection with Tantric Buddha Vajrayogini with a powerfully blessed 100,000 light offering retreat. 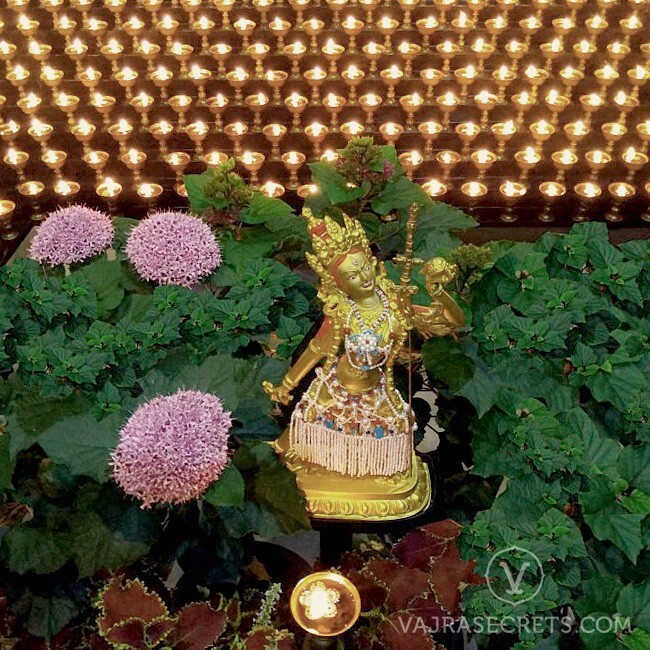 This preliminary practice is one of the prerequisites to receive Vajrayogini's potent initiation and creates the causes to ascend to her paradise. This initiative by Tsem Ladrang allows modern busy people to fulfil their spiritual aspirations. You can also sponsor this retreat for your loved ones to help them collect merits for better future lives. Completion of the preliminary practices is one of the prerequisites that any aspiring Vajrayana Buddhist has to fulfil in order to enter the tantric path. And one of the best ways to receive the Maha Anuttarayoga Tantra practice of Vajrayogini is to make her the object of a 100,000 light offering retreat, one of the six preliminary practices. However, given our modern busy lifestyles, not many of us have the time or ability to complete or even begin this essential practice. You can also sponsor this retreat for your loved ones to help them collect merits for better future lives. Obtain wisdom that discriminates between virtue and non-virtue. Four limbs will be free of defects while obtaining bright, beautiful and good eyes. Body will be healthy, strong and filled with vitality. Increase in wealth and health. Vajrayogini is a representation of complete Buddhahood in female form, whose practices are associated with the Chakrasamvara Cycle of Anuttarayoga Tantra. Her practice is one of the most effective for people today because the commitments are significantly 'easier' compared to the other Higher Yoga Tantras. This is reflected in her simple form (one face, two arms and two legs) and relatively short daily practice - sadhana. 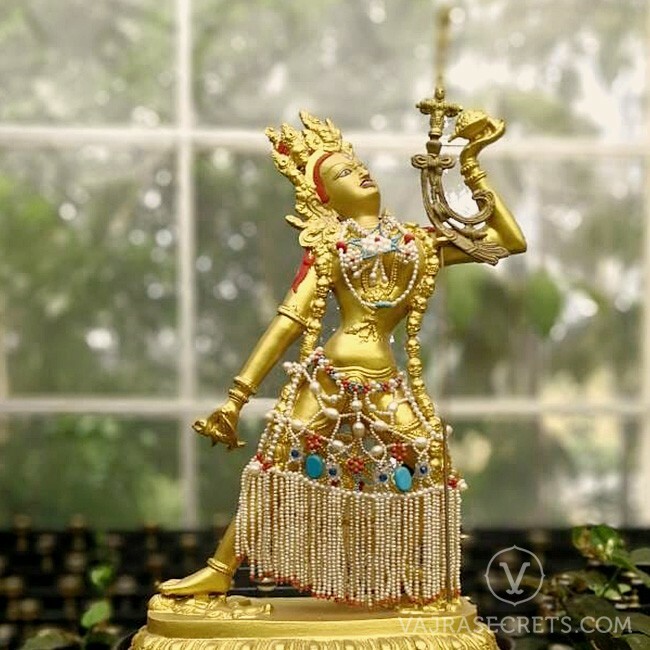 Vajrayogini’s mantra is so effective that one can recite it without visualisation and still gain some attainments, and her blessings become more powerful as times degenerate. 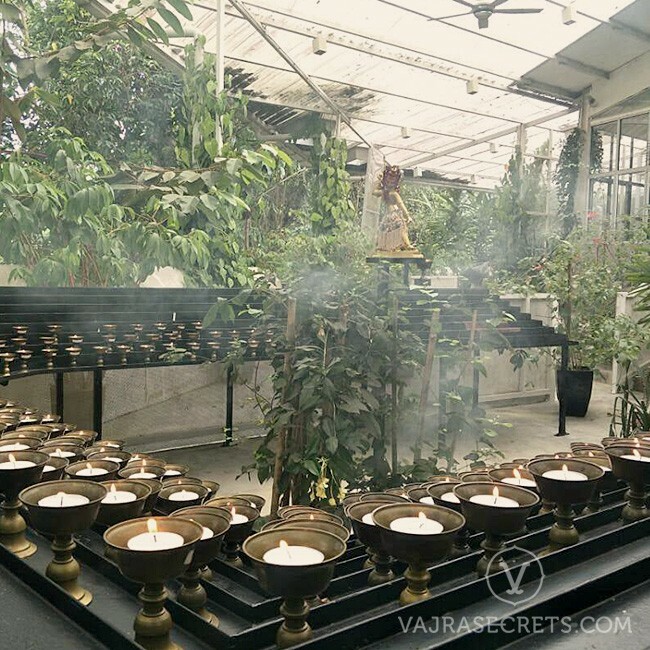 One light offering will be made daily on your behalf throughout your selected duration. 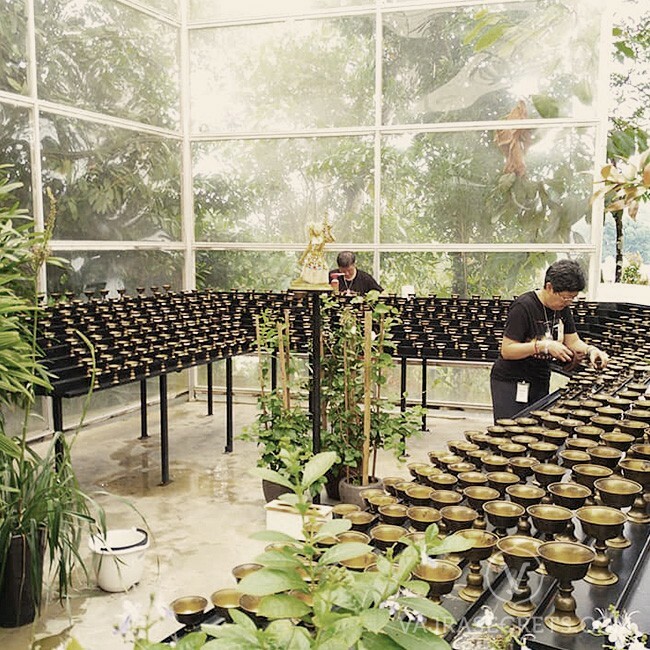 To increase the number of lights offered daily, increase the product quantity to your desired daily amount. The retreat cycle begins on the first of every month. Orders placed on or before the 25th of each month will be fulfilled during the upcoming retreat cycle. Orders placed after the 25th will be fulfilled one retreat cycle later. 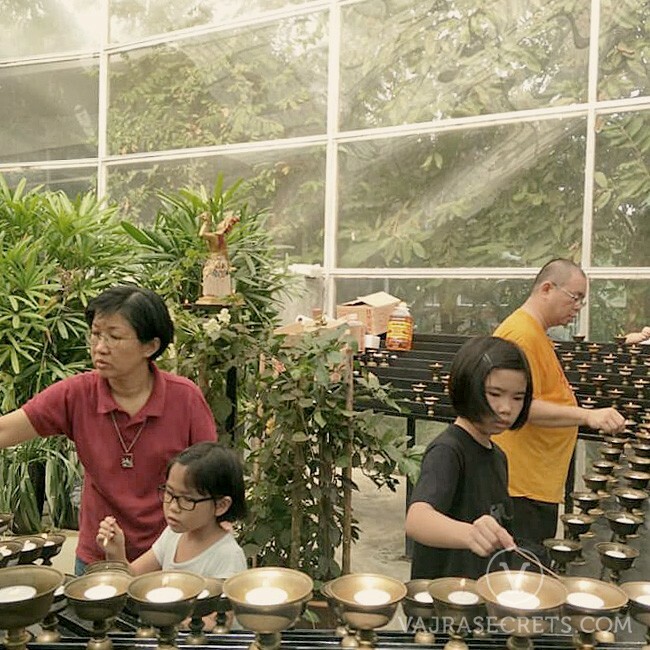 If you plan to engage in the offering of lights as a preliminary practice or traditional Buddhist retreat, it is necessary to not break the retreat cycle until your desired target (traditionally 100,000) is achieved. We will send you an email towards the end of your retreat duration with a summary of your total light offerings to date, and to remind you to renew your retreat if you wish. Please add [email protected] to your address book to prevent our email from going into your spam folder.